As a start-up, it’s often your dream to see yourself in the press (especially if it’s good things they are saying).And so you cultivate reporters, hoping to become that next darling like Twitter, or like Foursquare is now, knowing that drives buzz, investment and ideally users. Except the reality is that your chances of being incessantly talked about and blogged about are about as good as your chances at finding a single female on Chatroulette. Here are five tried and tested lessons you should learn about your quest for digital ink and the impact it can have on your business. Writers are regular folks, just like your neighbours. They use products in their every day life and they like to write about them because they have first-person experience. All press use Twitter and they get it. They are on Facebook. Hence it’s much easier to talk about those things, to write about them and get story ideas. If writers are not users of your product, the fact is it’s just plain harder to get coverage and become a darling. Don’t expect tech press to drive traffic. We all like getting covered in Silicon Alley Insider, TechCrunch and Mashable, but the reality is it’s just an ego boost and a message to other investors and companies out there. Unless your user is a reader of those publications (and then perhaps you need a larger market size), it’s not going to drive any traffic for you. So if you’re waiting for it to make your company, you’re not missing out. OMGPOP.com was one of Time Magazine‘s 50 best internet companies of 2009, but not many 15 year-olds read Time Magazine. Lesson: Understand your demographic and focus on getting press where they can be found. Digital ink can provide a major SEO boost for the name of your product, your company or your area of expertise. The biggest thing you can do is to make sure, with the writer, that your links are correct and the content of your article is relevant. At OMGPOP, we went from no results to #1 on Google search for a generic term because of one article. Are people always writing about your space? 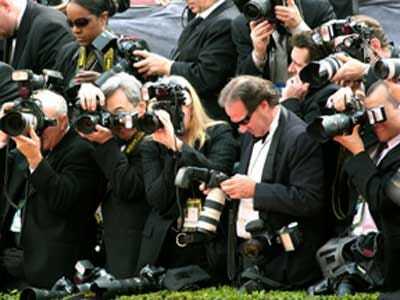 Are your competitors media darlings? Make sure you get in those stories. Getting left out is actually worse than getting no press at all. Not included in the SAI top 20 startups in NYC? Make sure you are next time. If I were BrightKite or Loopt, and left out of every story about Foursquare vs. Gowalla, I’d be changing some stuff fast, or packing it in. When we were running TicketWeb, we focused on articles – one every week – that were geared only towards a small ticketing web site. No one read that site, except for the other major players in ticketing. That got us clients and ultimately allowed us to shape the story for an acquisition by Ticketmaster, whose execs read the site. Talk to the people in your space and use the industry vertical sites or blogs that only those folks read regularly. A site with only 10 uniques matters if those 10 uniques are your acquirers or competitors. Dan Porter is the CEO of fun, multiplayer games site www.omgpop.com and an investor in songkick, producteev and socialflow. You can follow him at @tfadp.